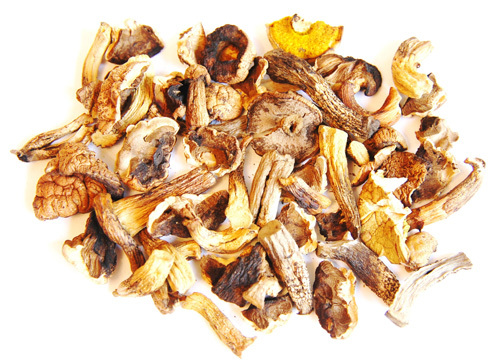 WARNING The toxins of poisonous varieties of mushrooms are NOT destroyed by drying or cooking. Only an expert can differentiate between poisonous and edible varieties. Scrub thoroughly. Discard any tough, woody stalks. Cut tender stalks into short sections. Do not peel small mushrooms or "buttons." Peel large mushrooms, slice. No pretreatment necessary.